I don’t have a favourite photograph. You don’t even have a favourite photographer. So what do I write? Well pick an image you like, then write about the composition, the photographer, the emotional impact the photo has on you. But I’ve only been taking photography semi seriously for three or four years, my knowledge is too limited; I don’t want to make a fool of myself. OK, read through some of the past articles Charlotte has sent a link to, that will inspire you. Just did, made it worse. Maybe this tooth abscess and the drugs I have been prescribed will set my creative fire alight. I’ll take a couple more tablets. Did it work? Nope, too mushy. A couple of glasses of crisp New Zealand Sauvignon Blanc, that will help. You’re still on the antibiotics. DAMN IT. OK, I’ve written before, hell it was even deemed so good I was asked to read my story out on national radio. I can do this. But that was forty years ago when you were twelve. In primary seven. And you only have a vague recollection of the story itself; something about how times had changed and that your mum used to pay into the pictures (cinema) with two jeely jawrs (jam jars) and eat a carrot during the movie (1950’s popcorn). Not much help. Right, I have some photography books, that seems like a sensible place to start. Digital Photography for Dummies, Teach Yourself Photoshop CS5, The Digital Photography Book by Scott Kelby. Ha, very funny, try those ones piled up on top of the printer, you know the one you rarely print from. You mean the collection of small books from Kozu Books - Landscape Editions - Various authors? Or the ones from TripleKite Publishing, including “With Trees” – Dav Thomas, “Yosemite” – Charles Cramer, “Intimate 1” – Hans Strand, “William Neill – Photographer, a Retrospective”? Yes, you also have others, like “Treasured Lands” – Q T Luong, “Where I Find Myself” – Joel Meyerowitz, “Silver Lake Drive” – Alex Prager, “This Land” – Joe Cornish. 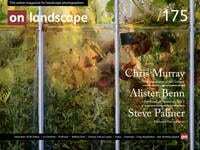 How about the awards books from Landscape Photographer of the Year, Outdoor Photographer of the Year, Scottish Landscape Photographer of the Year and International Garden Photographer of the Year? Lots of crackers in there. True, but there’s just too much to go through with all those. You have others over there, in fact too many others to mention. Well I need to come up with something. You do, and soon. WAIT, I’VE GOT IT. “Cedars and Rock Circle, Merced River, Yosemite National Park, California 1986” by William Neill. It’s from Yosemite, the place that inspired me to take photography seriously. My favourite image from the book. Perfect. And there’s no way someone else will have picked that. Excellent choice, but you better check the back issues just to be sure. I have them all downloaded to my iPad so this should be quick. Back we go, nothing in the 170’s, 169, no, 168, clear, 167, keep going, issue 166, fine, 165, no probs, 164, looking good. Aarrgh. 163. I don’t believe it! Start again. What motivates you? OK, I love to travel, and I love photography. You love US National Parks, so there must be something in “Treasured Lands” by QT Luong that inspires. After all, it is “A Photographic Odyssey Through America’s National Parks”. Problem. I love the book, I’ve been to thirteen of the fifty nine parks, but no single photo stands out. When I first got back into photography it was the grand landscapes of Yosemite and the American West that inspired me. Colin’s book contains none of the above. It is filled with shots of twisted trees, reeds, frozen leaves, piles of slate and fallen branches. OK, forget travel, you live in Scotland, one of the most beautiful countries in the world. Look there. I did already. Nothing elevates my senses. It’s the drugs. Maybe you should stop talking to yourself. Thanks for the suggestion. And it worked. I take pictures to get away from the pressure of running a small (circa fifty employees) business. I used to play golf to relieve stress but got fed up with the time it took to play eighteen holes, and the lack of decent weather. So about five years ago I decided to get back into photography, something I had dabbled with on and off since I was a teenager with a cheap SLR, a dark room and an enlarger. Suddenly the weather didn’t matter, in fact, I learned through time that the worse the weather, the better the photos. I started to use my expensive golf waterproofs for something else, and I enjoyed it a lot more. After a pressure filled week at work, a few hours out with the camera worked wonders. Photography healed my mind. Which takes me to “Healing” by Colin Bell. It wasn’t amongst those books piled on top of my seldom used printer. It’s somewhere safe, still wrapped in the bubble wrap it came in because it’s probably my favourite book. And all along I really knew the image I would pick would come from this book. As mentioned above, when I first got back into photography it was the grand landscapes of Yosemite and the American West that inspired me. Colin’s book contains none of the above. It is filled with shots of twisted trees, reeds, frozen leaves, piles of slate and fallen branches. It takes me back to my youth, squeezing through bushes and clambering over trees in the local woods, trying to avoid getting stung by wasps and scratched by thorns and brambles that seemed to reach out and grab. It has inspired my own work, opened my eyes up to another landscape. I no longer seek out the grand view, though some are still hard to pass up. Instead I now mainly try to solve the puzzle of the more intimate landscape. Of all the images in the book, those captured on Holme Fell are the ones I return to most, the “Tarn Tales” series and the “Twisted Rowan” series in particular. “Tarn Tales II, IV and V” are simply stunning and encapsulate everything I now adore about landscape photography. “The Tarn and The Rowan” is a perfect combination of the two. Sadly, this article is titled “End Frame” and not “End Frames”, therefore I must choose one, and “Twisted Rowan III” is my choice. This shot, judging by the tone of the grasses, the nakedness of the trees, and the soft blue cast to the fog, was captured on a cold day in winter. In my opinion, the composition is flawless, with the shadow of the tree in the lower right-hand corner grabbing your eye, the edge of the tarn leading you to the lone raggedy old rowan, which in turn nods to the two trees (birch?) on the small hill in the fog. The supporting cast are all perfectly placed, but the “Twisted Rowan” is the star of the show. There, you done it! I thought you said stop talking to yourself?